The works for the construction of the tramway corridor (trackwork – rails – catenary) have been completed. The trial run of the Tramway system has commenced. 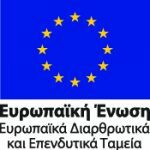 Setting – checking of the systems controlling the operation of the Tramway system extension to Piraeus from the Central Control Room in the entire Attica Basin are in progress (integration of Piraeus extension in the basic network). Road signage and signaling works on junctions along the Tramway route are in progress. E/M works at the new Substation 16 (Civil Works have been completed), as well as the upgrading of Substation 1 are pending. Pending works related to the installation of urban equipment are under completion, while the installation-testing of E/M equipment is in progress. At Lambraki Bridge: Concrete maintenance works commenced and are in progress. The installation of lifts in the area of Lambraki Bride and in the area of Karaiskaki stop are in progress. 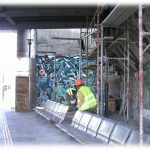 In other areas, works for the reinstatement and maintenance of structures are in progress. The works for the construction of the Tramway corridor have been completed (trackwork – rails – catenary) have been completed. The trial run of the Tramway system commenced, while checking – arrangements – tests of the Tramway and catenary related installations are at the completion stage. Road signage & signaling works at junctions, along the Tramway route, are in progress. E/M works at the new Substation 16 (Civil Works have been completed), as well as the upgrading of Substation 1 are still pending. Pending works related to the installation of urban equipment are under completion, while the installation of E/M equipment is in progress. 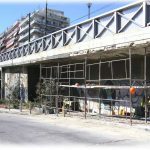 Karaiskaki stop: The installation of a canopy and the installation of the lift connecting the street level with the underground passage are in progress. At SEF (Piece and Friendship Stadium), at Alikakou square, at Lambraki bridge and at the U-turn from Mikras Asias street towards Lambraki street: The installation of safety balustrades offering safe circulation of pedestrians and vehicles is about to be completed.